Navis Boards – the best upwind board on the market? 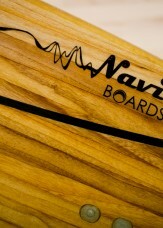 Navis Boards is a new brand on the market that manufactures kite boards. Navis Boards differs from many other manufacturers in many ways. 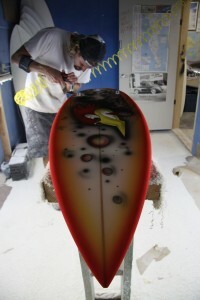 It´s not just the wooden look of the boards, but there unique characteristics and the possibility to customize the design and the shape of the board. All this to a price that can compete with most other kite boards on the market. Navis Boards has a range of different boards in their portfolio. “Lewis” – the full carbon, high-performance kiteboard, “Hulk” – the light wind board and the “Bolt” – the all-round kiteboard. 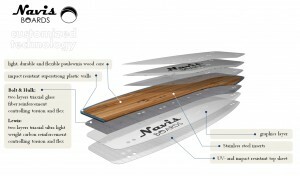 Navis Boards also sell longboards for skating. I had the opportunity to test the 136×41 “Bolt” for about two weeks under various conditions, from choppy water and strong wind to flat water in light wind. These are my reflections. The board itself has a really nice design. The board has a core of tri-axial glass fiber reinforced Paulownia wood which gives the board a smooth and exclusive wooden look, just like a sailing boat made from hardwood. The color of the rail can be chosen from 6 different colors which is nice since you also have the possibility to add your logo or some other graphics to the board, hence it´s possible to choose a color that match your logo. There are also three different colors on the fins to choose from. The pads are soft and comfortable with straps that allow you to adjust them so much that they even fit my big 11 inch feet when wearing 7mm boots. + Flexibility – The Bolt is without doubt a very flexible board. I’m one of those maniacs that like to jump insanely high and it´s not always that my landings are perfectly smooth. So the flexibility comes in handy since it helps to absorb and soften hard landings. + Upwind – the upwind performances are simply amazing! I´m used to ride a 134×39 F-One SK8, not a bad board at all, but I need at least 1-2 m/s more wind to be able to even ride with the F-One compared to the Bolt. 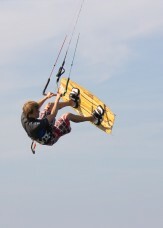 I had a session when I barely could stay up on the F-One board, riding upwind was more or less impossible. I swapped to the Bolt and was amazed over the huge difference. The Bolt has of course a little bigger area than my F-One, but it is also lighter, much lighter. The light weight in combination with the rocker make the Bolt outstanding in light wind! Ask anyone who have tried a bolt and they’ll for sure tell you about the ease to ride upwind even in light wind. + Choppy water – Here the rocker comes in handy again. 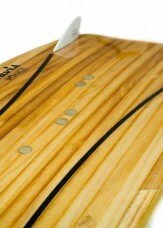 The Bolt is forgiving and handles choppy water as good as any other twin tip board. – Pop – the pop is probably the only “weak” side with the Bolt. It´s not that the pop is bad. It´s fully possible to achieve good pop, but the flexibility of the board makes it slightly harder to pop comparing to stiffer boards. It´s all about compromises. A stiffer board delivers more pop than a more flexible board, but my opinion is that the other performances of the Bolt more than counterbalances the pop. However, if you really demand a board that deliver maximum pop, then you have the possibility to order a board that is a bit stiffer, by using another choice of reinforcement material. The board will not necessarily be thicker. The possibilities to customize your board from Navis Boards actually also includes the shape! 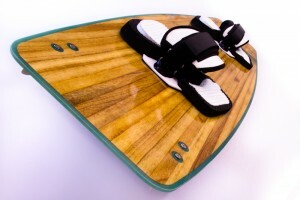 As already mentioned the board has a core made of tri-axial glass fiber reinforced Paulownia wood. The core is in turn layered with super strong plastic walls and UV- and impact resistant top sheet. This construction makes the Bolt extremely durable and it’s a board that can handle tough conditions, altough its low weight. Yet the flexibility is one of its kind. Navis Board offer a 2 year guarantee on their boards which is another proof of its indestructible construction. The Bolt is a great all-round kiteboard. Perfect for beginners as well as more advanced riders. I can guarantee that you´ll be the one that still can ride upwind when all the other go back on land when the wind drops. The rocker and the flexibility provides a smooth ride, saving your knees and giving you extra soft landings. It´s easy to carve through the water and it delivers a pop that most riders probably are happy with. 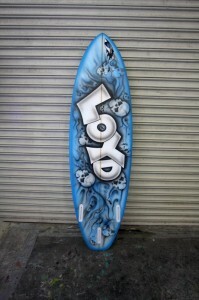 This is a board that I really can recommend to any rider out there!